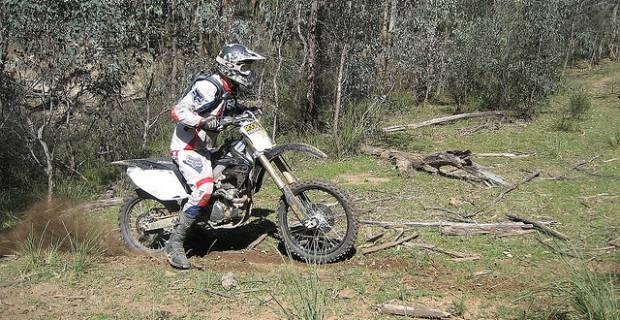 The 2012 Honda CRF 250R has been hailed as best in its class. The 2004 CRF 250R was among the top four stroke off roaders ever built, and now the 2012 version seems to have trumped that. Honda have improved the rear-shock linkage and improved the suspension. They have included new cylinder head, camshaft, throttle body, airbox and intake boot. The bike has a 249cc liquid-cooled single cylinder four stroke engine and a close ratio five speed transmission. The front suspension offers 12.2 inches of travel, while the rear suspension has 12.3 inches. It has a wheelbase of 58.6 inches, seat height of 37.4 inches and a curb weight of 104 kilogrammes. The fuel capacity is 1.5 gallons and it has a ground clearance of 12.7 inches. The 2012 CRF250R has longer, wider foot pegs than the older model. The new foot pegs are more comfortable and offer better traction than the old ones. The bike comes with new Dunlop MX51 tyres - and with these tyres you will experience much better front and rear traction. The lightweight aluminium frame improved rigidity and handling, while the new front axle collars make the front fork and wheel assembly more rigid. Meanwhile the revised chain roller helps keep the rear suspension active during breaking. With these improvements on the older model, the 2012 CRF 250R has better handling, more traction and more power - in short, it's close to the perfect bike. It's no surprise that we have read nothing but positive reviews on this bike.